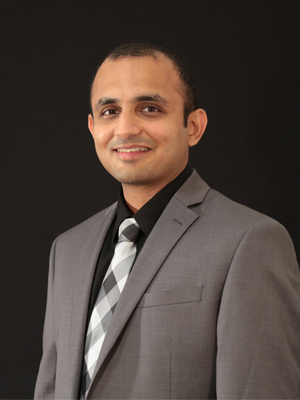 We are pleased to announce that the winner of the 2018 Young Investigator Award, sponsored by MDPI and Cells, is Dr. Pushkar P. Lele, currently an assistant professor in the Artie McFerrin Department of Chemical Engineering at Texas A&M University, College Station, USA. Dr. Lele obtained his PhD from the Chemical Engineering Department at the University of Delaware, USA, under the guidance of Professor Eric M. Furst. His thesis work was in the field of colloidal self-assembly, during which he developed a passion for understanding the laws of physics that govern the motion of microscopic objects. After earning his doctoral degree, he accepted a postdoctoral position at Harvard University, Cambridge, USA under the supervision of Professor Howard C Berg, a professor in Physics and Molecular Cell Biology. At Harvard, Dr. Lele trained in Microbiology and Biophysics, and made several transformational contributions to the fields of flagellar mechanics and bacterial chemotaxis. He carried out highly creative research by developing assays that enabled mechanical stimulation of individual flagellar motors in single, live bacterial cells. With these novel assays, Dr. Lele discovered that these motors behave as ultra-sensitive molecular sensors that detect chemical as well as mechanical stimuli. The impact of this finding was immense, because it identified the sensors that form the basis of the bacterial ‘sense of touch’. This sense of touch enables bacteria to detect the presence of colonizable surfaces and to trigger the onset of infections.